A streamlined short sleeve that contours the body without limiting movement. 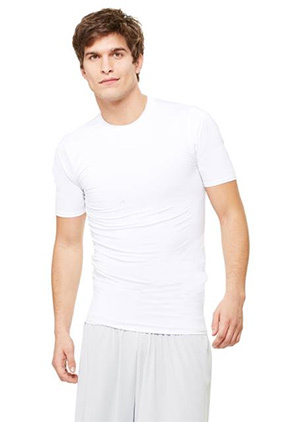 83% polyester/17% spandex jersey short sleeve t-shirt. Contrast stitching at shoulder, armhole, side seams. Dry wicking and antimicrobial. StretchFlextm technology provides lasting recovery and a great fit.